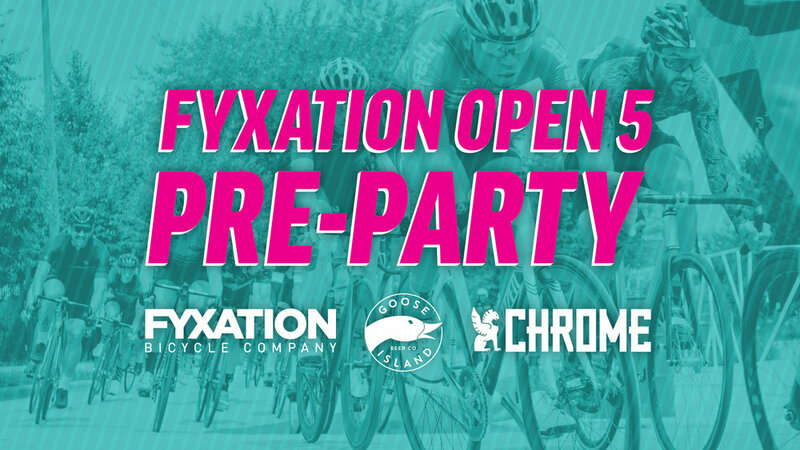 We're excited to announce that we've partnered with Chrome and we'll be hosting a pre-party on Saturday, August 28th to help kick off the Fyxation Open 5 Finale in Chicago. Chrome has stepped up as a Podium Sponsor for this year's race and has graciously allowed us to host our kick off party in their Chicago Hub. Beer will be provided by Goose Island Brewery, Pizza from Piece Pizza/Brewery and Chrome will have their Goldsprints bikes up and running. The runs from 6PM - 9PM. Facebook event page below for more info. See you there!